This Whats New! page is our Chat Page! It's a quick posting of some of our latest pages at Best Pennywise Tips and sometimes just our thoughts or news stories that have caught our attention. This is the quickest way to see at a glance What's New! when you drop in. Or sign up for the blog and you'll receive news every time something is added. Lots of new projects are on the way. (Some people wonder why we build a website and don't do a "blog", well, here's why. It's not only smarter, it's just a pennywise thing! Happy New Year from All of us at Best Pennywise Tips! Lots of new things coming in 2018. Just getting back on my feet after my 3rd bout of cancer. Once again, by some miracle, I won! (with the help of an amazing medical team here in Kelowna and in Vancouver, B.C. I am very grateful. When you go through life altering experiences, you are altered and not just by surgery! Changes happen that open your eyes, or is it your heart and mind, not just to new things but to new possibilities. In fact, gaining a new outlook on life in not uncommon. That's a Good Thing and what I call one of the blessings I have received going through these dramatic experiences. This time, the cancer was just a few millimeters from spreading into the rest of my body. That's a very small amount of space. But it made a very big difference. It has been a reminder to me of the premise of Best Pennywise Tips, that small things count. A few millimeters, a few words, a few thoughts, a small change of heart that never is small since when something alters in your mind or heart, the ripple effect makes it big. Like the Butterfly Effect, small changes reverberate throughout the Universe. Still slowed down by my treatments, I am back to studying Alice and Ron's course, Content Cash Flow, part of their series at Elite Writer's Lab. Wonder what PLR is and how you, too, could get started at a business you can work from home - no matter what your age is. Look here for PLR Business Start-Up Tips and follow our Make Money from Writing series here and then keep up with our Business Tip section; much more will be coming there. Cultivate A Gratitude Attitude, Add Gratitude Daily, and 5 Skills Increase Happiness. They're part of our new series called Looking Back:Reflection & Gratitude. I think you're going to like it! We're also working on a series about Meditation and another about Living Life To The Fullest, as well as sharing with you our ideas about How To Earn Extra Cash. We're developing lots of FREE Reports on these and other topics to start you off on creating the Best Life Ever. We looking forward to 2018, it's challenges and the rewards they bring. We'd like to help bring rewards and happiness into your life, too, so please follow along. Paris, you are in our hearts. We've been busy working on some new projects. You'll love 30 Tips For Choosing Healthy Fats in Your Diet. Some great information and a few recipes I think you will like, too. It's almost wrapped up and ready to post. It's been a hot (I mean HOT) summer here, sad to say with too much smoke from nearby forest fires in B.C. and across the border into the U.S. (we worry so much about - and are so thankful for - the firefighters) but now we are into Autumn with cooler nights and days that are warm enough to give soft hugs as their afternoon warmth rests on your shoulders. Eating up the last of the tomatoes, zucchini, and harvesting some grapes I've thrown in the freezer. We'll eat them frozen for snacks, throw them in breakfast green drinks and, if I feel like it, maybe make some juice...later. Loving watching the herbs still growing as we work on the next assignment, too. There's still quite a bit of work to finish 30 Self Improvement Tips but its progressing well, too. I think Tip #2 might be my favorite of them all - Create Daily Me Time. Sounds so good, right? So hard to do. Fortunately I have a beautiful view from my deck (actually I can see some of it from my desk) so sometimes my Me Time is staring out the window - or I slip outside to lean over the deck and enjoy the flowers, send Love Vibes to the birds (who mostly ignore me) and feast my eyes on the vista of mountains and lake just down the hill. Okanagan Lake, now clear of smoke, is calm these days exuding peace and serenity. Just looking at it is a nice break. While you're waiting for those Tips to be uploaded, why not take some Me Time for yourself and enjoy this video that Steve (Fitness Training Goals) just recommended. The 80/20 rule is a common ratio used to determine performance versus resources. It is a general assumption that we use 80% of our resources (time, money, skill) to achieve 20% of our performance. The opposite is also true – we use 20% of our resources to achieve 80% of our performance." More on that in our upcoming time Management Ebook...yup, we're working on that for New Years resolution time! Much more on that than just that little blurb on the 80/20 rule/ratio...fascinating stuff. So head over to YouTube now and investigate at VSauce before you come back and count the number of times I use the word "the". And I'm not saying that quizzaciously. Kindness - There is a lot of unkindness in this world. Sometimes because people just don't understand what life is like for another person. "Be kinder is an audio hypnosis session developed by psychologists that will help you tap into the deep well of kindness and compassion that is your true heritage as a human person." Because this is the real you. Download Be kinder and nurture your own spirit. Here's an article we've really enjoyed learning from lately. Mental health issues touch nearly every family in some way. 1. A reminder that not only does the person with the health issue need help, but the caregiver and family need support and assistance, too. Check out Julia's Etsy shop, Bannabelle, for new products and current sales. We're truly inspired by Julia's creativity and work ethic that have helped her build a great business. November 11 is Remembrance Day in Canada. With all the troubles in the world, we hear lots about Vets but I thought I would like to mention The Military Nurses of Canada. Yes, many of my Grandfathers, Uncles, and my Dad fought in the World Wars; some received medals for Valor, all deserved praise. But let's also think of others who served and be grateful for them. My aunt, Alexandra Bury, helped compile the book, "The Military Nurses of Canada" (1995), a book that was written by her friend and fellow military nurse, Edith Landells. It tells the history of the many nurses who went over to Europe and Africa to serve when the call for help went out. It wasn't always safe - they often lived and worked in tents near battlefields that were sometimes so close that shrapnel would fall through the tents. But the nursing sisters of Canada were valiant. Brave women, one and all. Thanks for your service. Thanks for the freedom. This is a super time to make some changes, add some even better beliefs, thoughts, actions and habits to our lives. We can make our Dreams come True! Cyberbullying has been in the news a lot. It's something we must put a stop to as soon as possible. I'm sure you agree. Here's something you can do with your children, grandchildren, nieces, nephews...children cannot see this too much to have it imprinted on their minds. Does that sound scary? Imprint something on their minds? It takes many times of seeing something before we accept it as a do-able action or reaction. You DO want to set these action steps to deter - and un-imprint (new word :-) ) the nastiness that cyberbullying is - in the minds of children so they WILL follow these steps instead of falling into a mental trap. I just watched this and hope you will take the time today or very soon to show this to your children - and to learn the easy steps . It's as easy as playing hopscotch! Merry Christmas Everyone! I hope you, too, believe in miracles of every sort. Have a wonderful holiday time! Thanks for being our readers here at Best Pennywise Tips. The last while I have been having a lot of hip problems so have not got done all that I wish here. Yesterday I spent quite a few hours uploading things for you and as I was about to save it, the power went out just for a split second and I lost everything. It also took out that black box that gives us HD TV but that is a small disappointment to losing the work I had done for you. If you are still looking for some last minute gifts (maybe even for you) or are thinking about improving yourself and your life in 2014, you may like this special deal. I am an affiliate of Steve's but also an avid user of his products. I must have a few dozen or more of his downloads. I personally use them - often listen to them last thing at night - but I also buy them to give as gifts. If you have someone far away sending an mp3 is a great way to send an instant gift and save postage at the same time. Many people are stressed, you may be one of them, or wanting to improve themselves in some way but struggling. So check out this absolutely incredible deal. It's as close to a Giveaway as it could be. You can choose from the largest set of life changing hypnosis recordings in the world. And they normally cost between $19.95 and $219.95 each. For a very limited time, Dr. Steve is letting my readers grab ANY of his hypnosis recordings for just $1. (No, that’s not a typo) There's no code to use. Just load up your shopping cart and the discount will automatically reflect at checkout. Steve has helped tens of thousands of people "rewire" their brain... forcing their mental and emotional challenges to slip away quietly in the night. PS - This means you can grab ANY and EVERY hypnosis recording, including Dr. Steve's world class Platinum and Triple Diamonds, for just a buck. You can also purchase recordings for family and friends for the holidays. Plus each recording comes with a money back guarantee there's no risk. Thanks so much for all our readers - that's hundreds and hundreds of you - who have checked out Shelters International Disaster Response (SIDR). They still need help for the people in the Philippines! Read more here and see some photos of the SIDR team at work in Haiti 2008 here. November 14, 2013 - Disaster In the Philippines - We've all heard about Typhoon Haiyan and the desperate need of many thousands, or is it millions, of people in the Philippines. Laura and her team are busy-busy-busy but I'm hoping someone might find a minute or two to send some photos for me to post on our Friends of Pennywise page.. So you keep posted to see if I've posted anything more about the efforts of SIDR helping in the Philippines Typhoon Haiyan disaster. Halloween is just around the corner! Here are few Spooky Halloween Meal Ideas! Oozing Pasta Eyeballs? Weiner Worms? Mummy Meatloaf? Summer's over. Welcome To Fall! New recipes have been added over the Summer and into Fall. Hope you enjoy them! Zucchini Pasta Sauce to help you make the most of this bountiful vegetable. Apple Squares with Sauce The Brown Sugar sauce makes it extra yummy! Summer Lemon Lime Fruit Juice Serve this anytime! Beautiful, delicious and good for you with all that fruit. Check out these new articles you might be interested in. and a whole NEW section Business Tips featuring the first of a series of articles to help you run your full time, part time online or Work at home business. LinkedIn Profile Tips show you how to set up a professional business profile. This is the profile that really matters. Autumn Fruit Salad is perfect for breakfast, lunch or dinner. Easy to make - and good for you! Find the recipe here. For Just A few Days - you can transform your life - and SAVE MONEY! "Every day, thousands of people give up smoking. And then, a few weeks, days or even hours later, they start again. It's World No Tobacco Day today, so even more people will be attempting to quit. And that's why I've decided to take 25% off my hypnosis course 10 Steps to Being A Non-Smoker. I don't want people to stop smoking for a few miserable hours, but to quit forever. 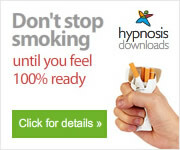 The course is unique because you are encouraged to keep smoking until you feel ready to quit and it contains 10 hypnosis downloads which will work with your unconscious mind to stop you wanting to smoke. There's also a download on Avoiding Weight Gain (in case you're worried about that) and one called Stay Stopped, if you need a boost once you've quit. 10 Steps to Being A Non-Smoker will be 25% off for the rest of the weekend. It's completely refundable, so if it doesn't work for you just let me know anytime within the next 3 months and you'll get your money back. We've had such success with this program that I'm happy to offer a full refund to give you peace of mind about buying from us." This could be the single most important step you take to improve your health - not to say, your pocketbook. With so much to cause concern and heartache worldwide, the last few weeks have been difficult. It's easy to feel stopped in your tracks but let's remember to be true to who "we" really are. Let nothing change your inner being - or let it only make you more steadfast in your desire to be good. Stick to your core beliefs. Remember: "Other people and things can stop you temporarily. You're the only one who can stop you permanently." That wisdom comes fro Zig Ziglar. If you find events overwhelming, please use any of the resources from my friends at Hypnosis Downloads. April 2013 Latest Pages From April! Apricot Orange Ham - Perfect for Easter! Raspberry Glaze Ham - Or you might want to try this one for Easter. March 2013 - Whats New in March at Best Pennywise Tips! More new Articles this month! Spring is here! And our thoughts, like yours, turn to ...composting and gardening. Hope you enjoy these new articles. March 12 2013 Still helping you save money with these new Best Pennywise Tips! We've been busy! We're roaring in like a lion...when we're really just pussycats....but we have been busy this month already. Check out new pages and you'll see Whats New! this month - and it's just the beginning. 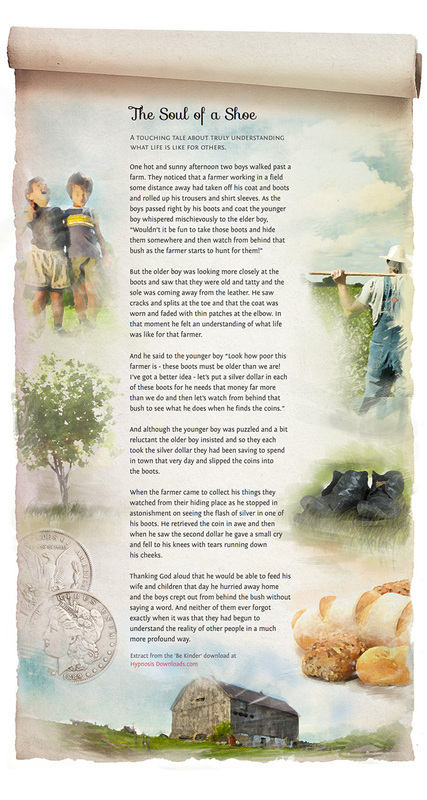 February 2013 - Whats New in February. Valentine's Day is just around the corner! So we've come up with 3 Cheesecake recipes for you and your sweetheart(s)! We're sure you'll love at least one of them. There's Creamy Chilled Cheesecake (no-bake), Chocolate Raspberry Cheesecake and Chocolate Mint Meringue Cheesecake. Click on these links or go to Recipe Index in the Nav Bar to find your way to them. Enjoy! February - Whats New in the News. TORONTO - Baby boomers may have dreams of spending their twilight years basking in the glow of good health, but a new poll suggests they'll have to work much harder to make that vision a reality. The findings come in the Heart and Stroke Foundation's annual report on the health of Canadians, which opted to focus on the habits of one of the country's largest demographics. The online survey found a noticeable disparity between people's perceptions of their own health and the reality of their medical situation. While 80 per cent of survey respondents described themselves as healthy, the poll found details of the participants' health habits told a very different story. ...Such habits, the Heart and Stroke Foundation said, are setting survey participants up for years of disappointment. Read the whole story to find out why ""It's those small baby steps over a period of time that can lead to the success you need to gather for yourself," he said." Check out our Quit Smoking Program of Instant Downloads to begin your journey of 'baby steps' to improved health. Would you rather be an ex-smoker that craves cigarettes - or a non-smoker who never gives them a thought? Almost the end of the month. Here's a really easy and inexpensive (I mean, cheap!) family meal to prepare. This is a really basic recipe that you can add to if you want or choose any number of salads, soups or other side dishes to serve with it. Pasta is always such a favourite. I haven't added this to the recipe page yet - I wanted you to get it right away! Cook pasta according to package instruction, then set aside. In a small saucepan, boil a small amount of water. Add zucchini and cook until tender. Grease a baking dish and layer 1/3 of the Rigatoni, tomato sauce, cheese and zucchini. Continue layering until you have three layers of each. Cover with shredded cheese and add a sprinkle of olive oil. Bake in the oven for about 30 minutes or until cheese is melted. That's it! Hope you enjoy Zucchini Pasta Bake. Whats New! January 21st? New Motivation Tips are now up. Hope you like the new poster - and use it to help you stay inspired and motivated. Go out and look for the best you can be. Walk or run! Get your 5 extra tips at Motivation Tips today. Happy New Year! May this be your best year ever! ...to help you get through the cold winter months, we've added a new recipe Fruit Rice Warm Up. It's gluten free, has no dairy and uses up left-over brown rice. I think you'll love it for breakfast on chilly mornings. Look for it in the Nav Bar on the left under Recipes. That's right, we live on this Earth, but it's not always so easy. It takes courage and fortitude and focus to keep us heading in the direction we want to go. Watch for new Motivation articles coming in the New Year to help you become the New You you choose to become in 2013. In the meantime, hope you're having a wonderful holiday. Will 2013 be YOUR Year to make a change? We're busy working on the next edition of Best Pennywise Tips (The magazine) but we have lots of new recipes and Christmas tips almost ready to go for you. In the meantime, here's a yummy and easy meal that will fill and warm your family. Check out the new recipe from Elisabeth for Easy Cabbage Pork Stew - she served it once and it's a family favorite already. Your family will love it, too. Watch for the surprise ingredient. Thanks, Elisabeth! Meet & Greet (with a Thank You gift) - my newest affiliate partner and he has given me a real treat for you...Tom Nicoli, a world renowned hypnotist and motivational speaker has put together three free downloads to help you reduce the stress in your life. Tom has helped people in over 40 countries get their lives back on track. You may have seen him on Dateline NBC (that's where I first saw him) where he helped a pastry chef lose over 40 pounds. For the next few days, he's agreed to let all my friends download these relaxation audios with no strings attached. It's truly free, no email list to join, no forms to fill out, just download and enjoy. Please visit: Tom today. This offer is only available for a short time. (Tom is one of the best - and if you are looking for some stress relief or curious about hypnosis, don't delay - This really is a limited offer from Tom.Visit him right now to get the relaxation downloads. Best Pennywise Tip? Did I mention, it's FREE! No strings attached - now that's a pennywise price we like. Being Pennywise is to careful and diligent in the use of resources - your health, your family, your friends and your environment, time and money. A favorite children's Halloween craft that is fun and very inexpensive! Pennywise Store - our product store of ebooks that we bring to you at the best pennywise prices we can find. Cross Training for Fitness - this is something that Steve recommends that just might break you out of the exercise doldrums..
You are at Whats New at Best Pennywise Tips. Return to Homepage here.